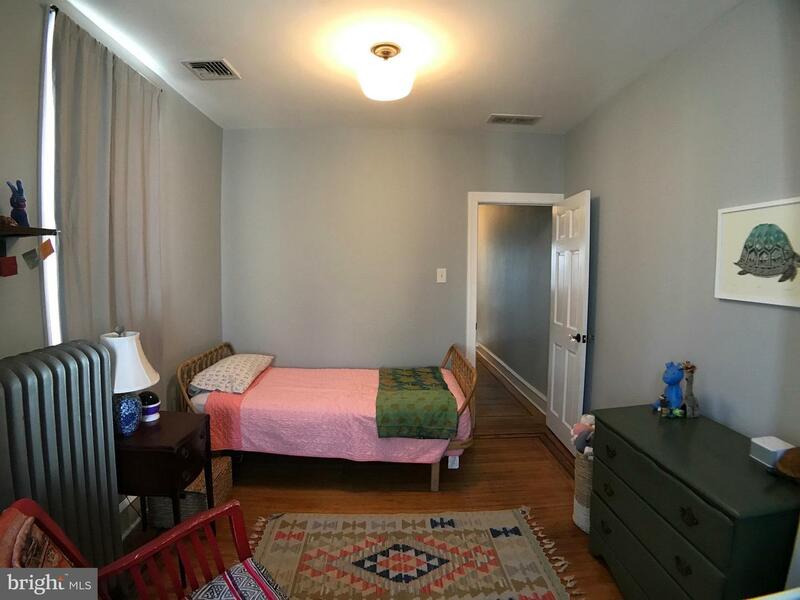 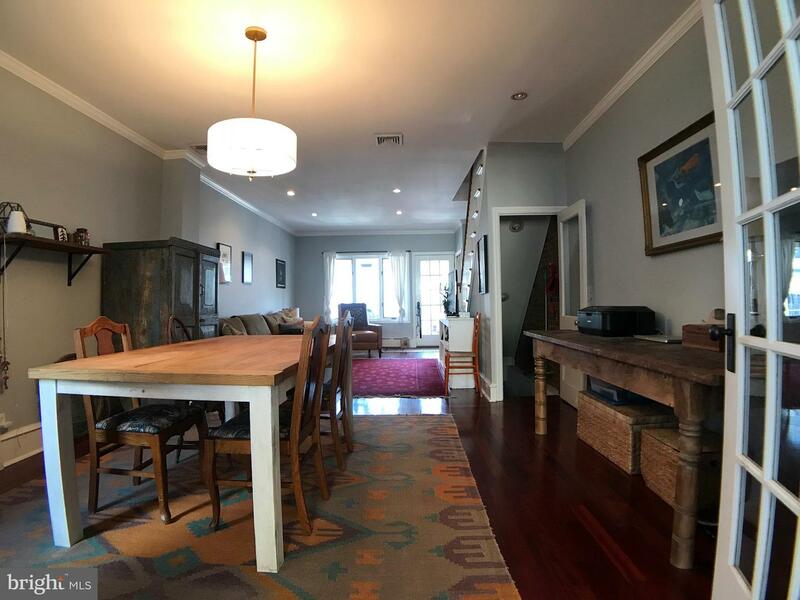 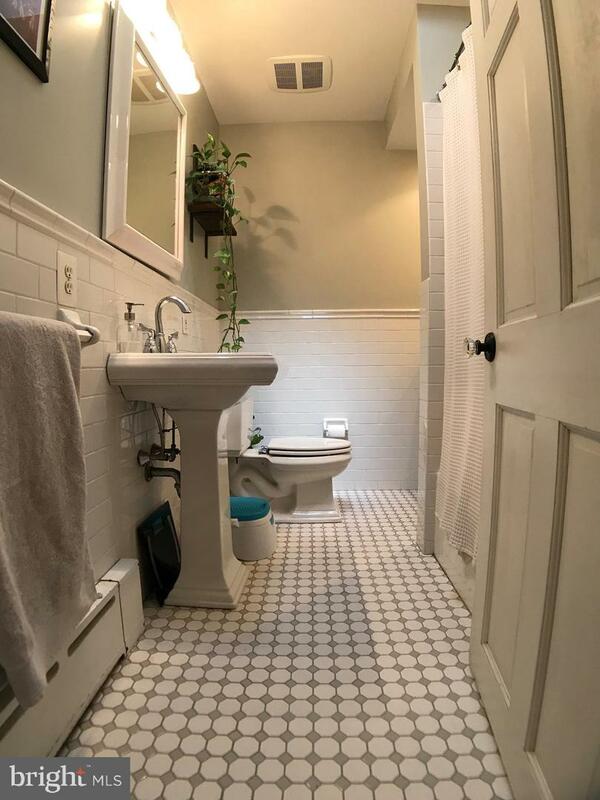 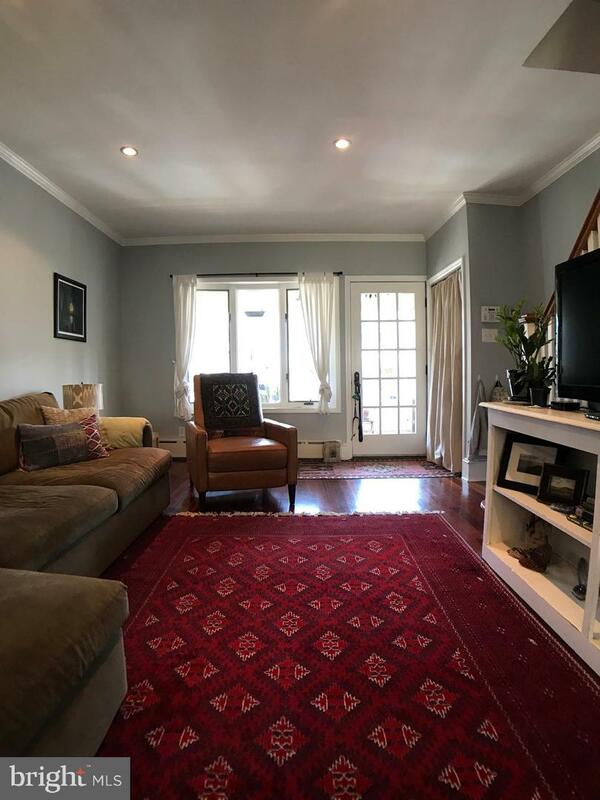 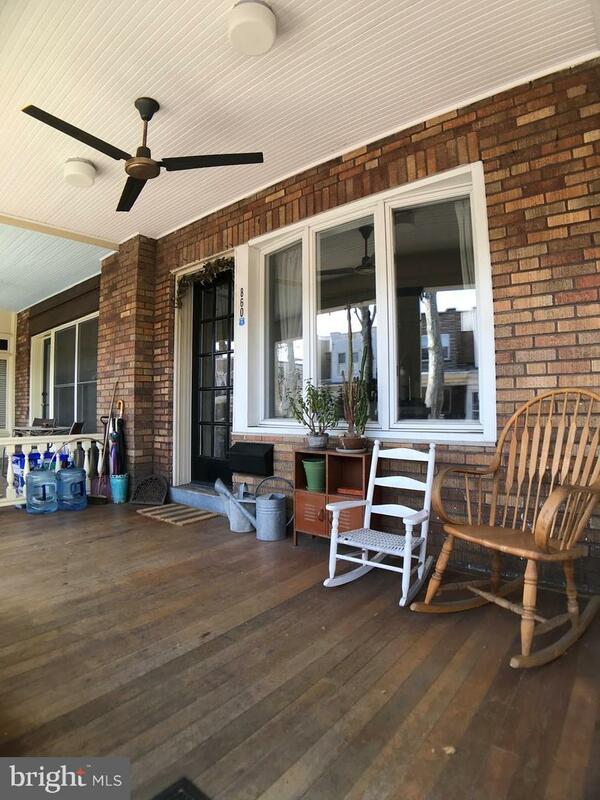 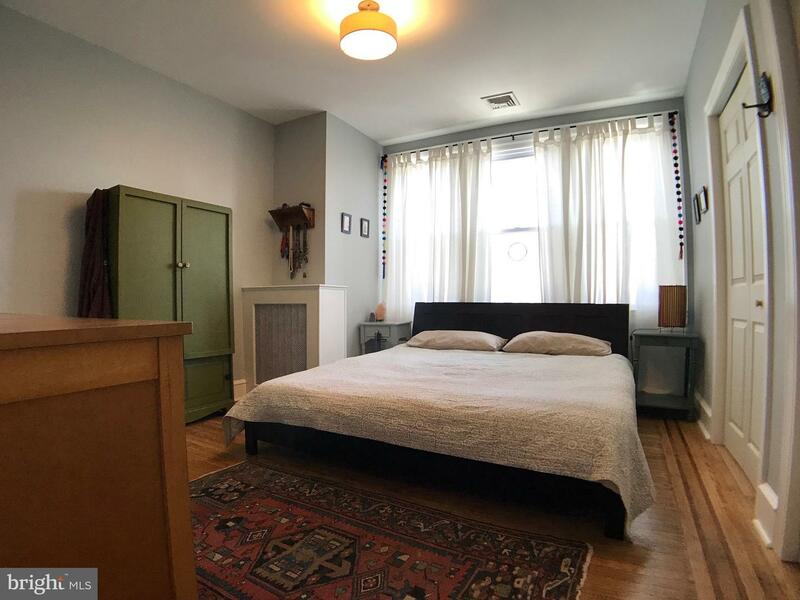 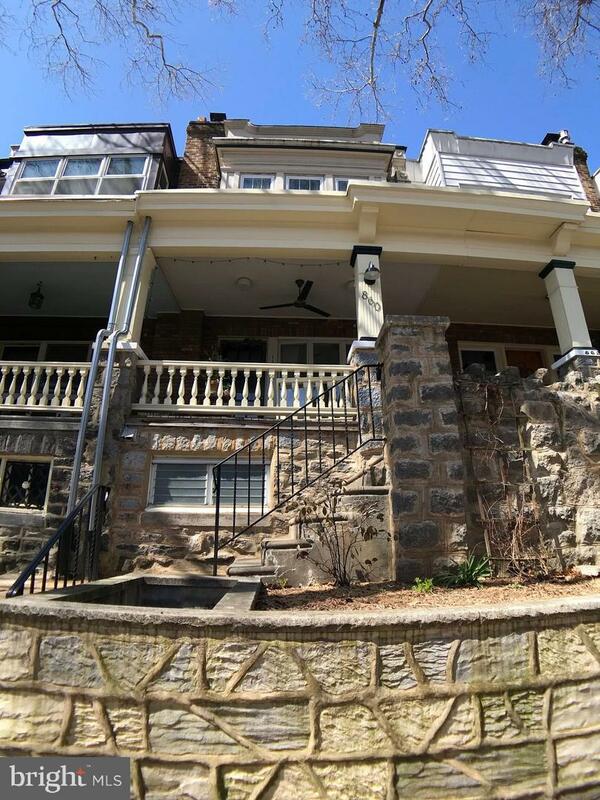 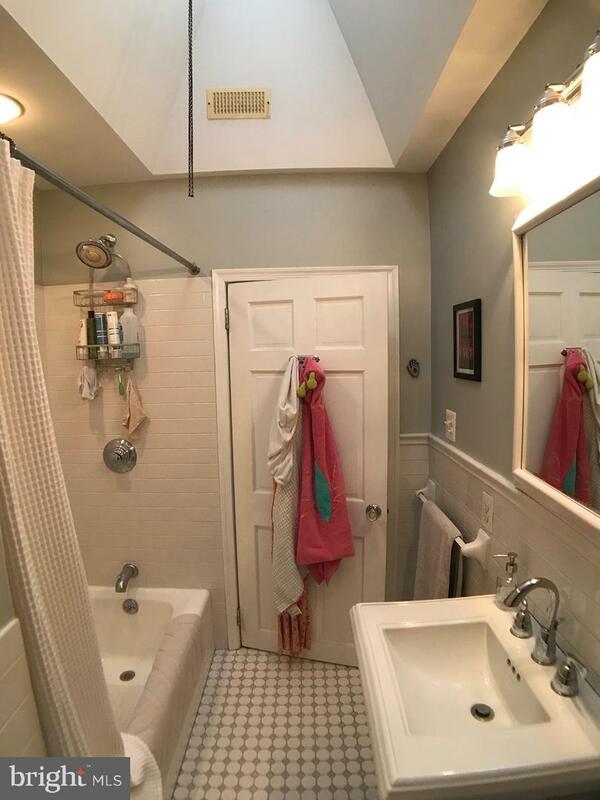 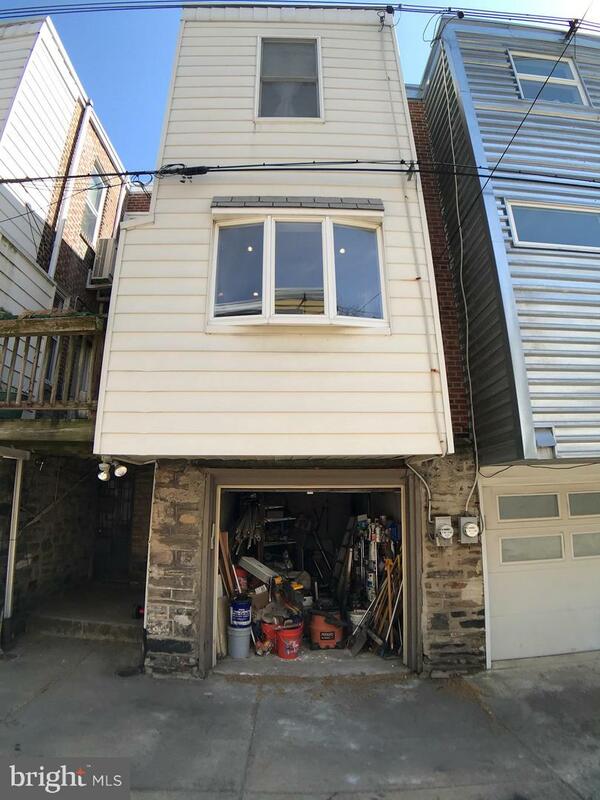 Resting on a sycamore tree lined street in Fairmount, a block and half back from the famous Eastern State Penitentiary you can find this well maintained 3-bedroom 1.5 bath house with finished basement and attached garage parking. 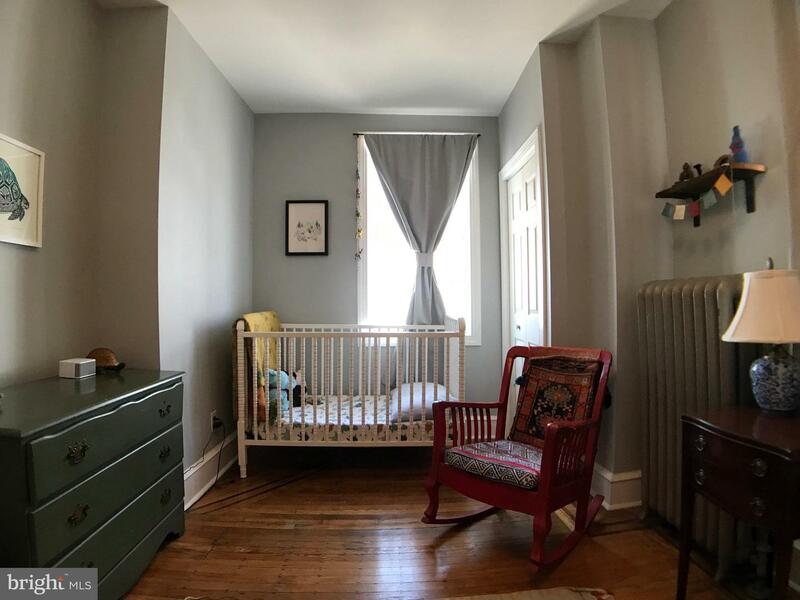 Enjoy all that the Art Museum section of Philadelphia has to offer from a wide range of world-famous museums, local boutiques, restaurants and more. 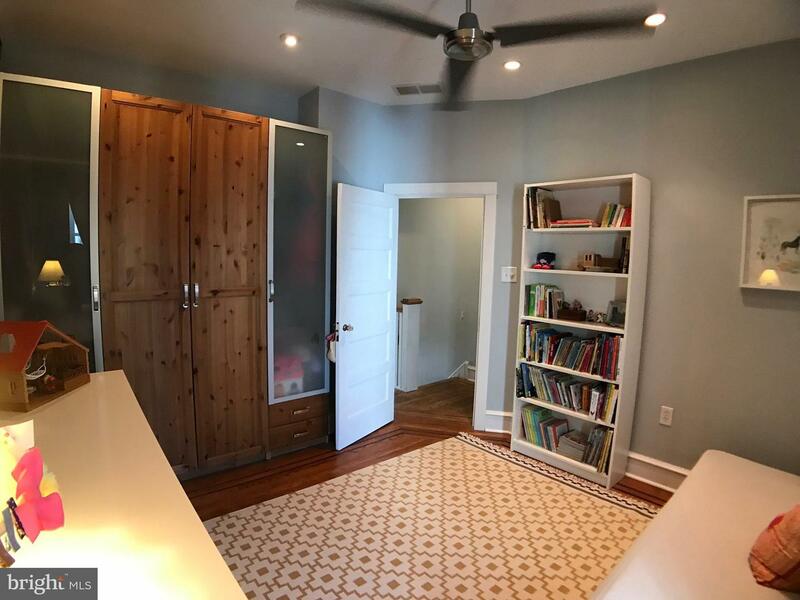 Watch local children chase Mr. Softee from your covered front porch featuring shade and ceiling fan for warm summer evenings. 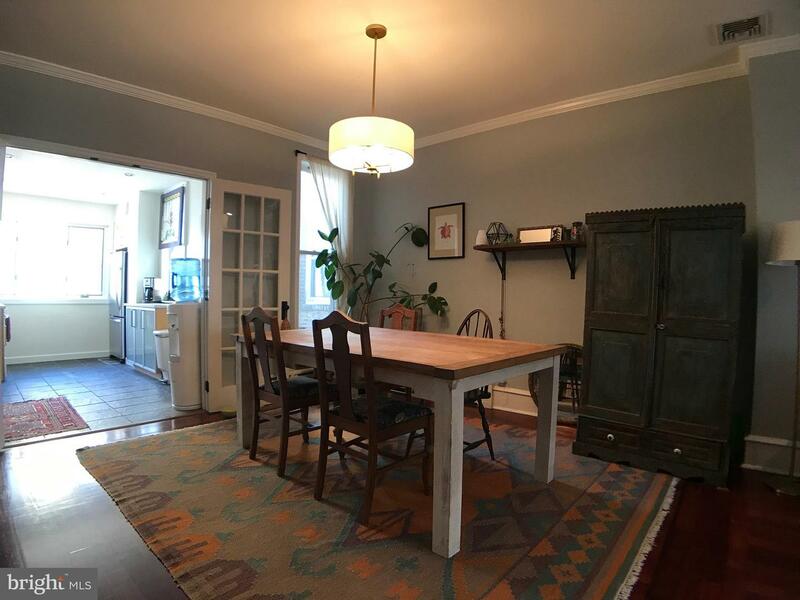 An open floor concept for living and dining space gives you the freedom to create your own space. 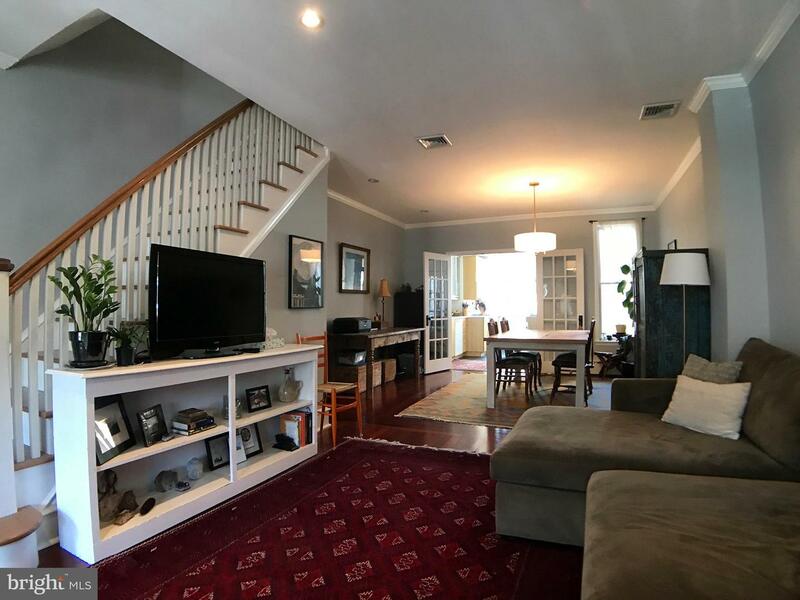 With cherry hardwood flooring with mahogany inlay on the first floor and original oak flooring throughout the second floor, paired with exposed brick, you achieve both a modern and classic look! 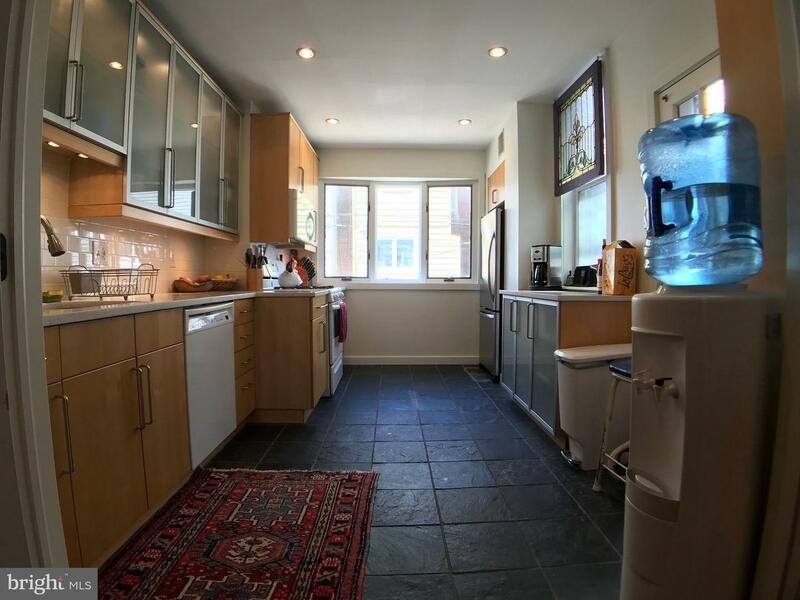 Custom heated stone tile kitchen flooring keeps your toes extra warm in those winter months. 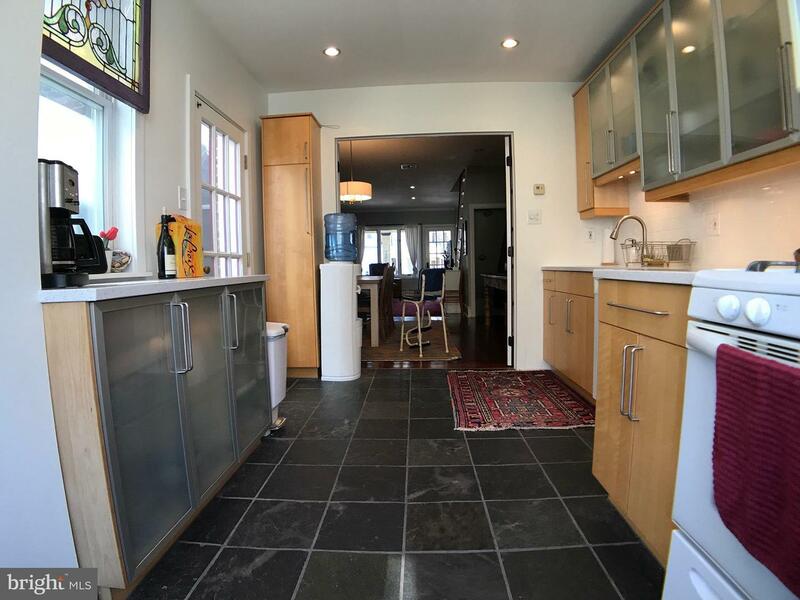 Updated kitchen space featuring, granite counter-tops, deep stainless-steel sink, garbage disposal, dishwasher, gas stove, microwave and full-sized refrigerator. 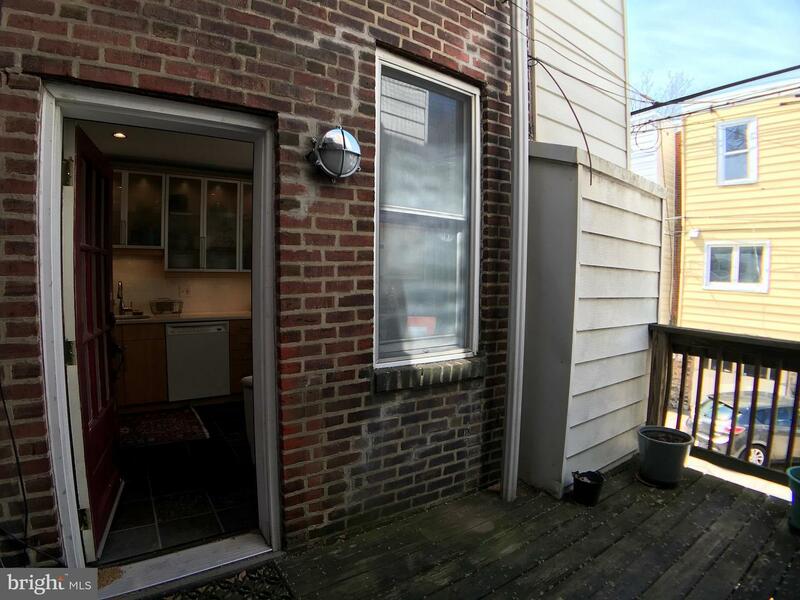 Open your rear shared deck space to let some of that cool breeze through while cooking dinner. 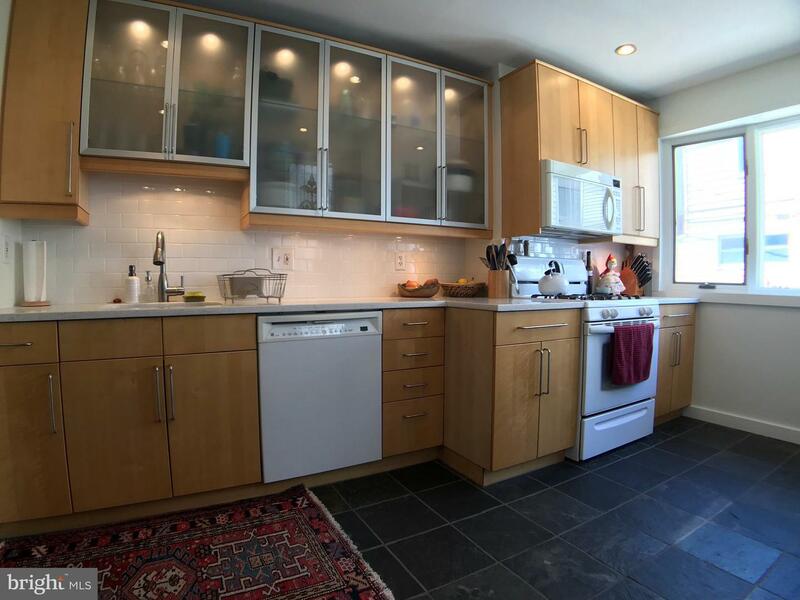 The natural light coming into this kitchen is both refreshing and welcoming! 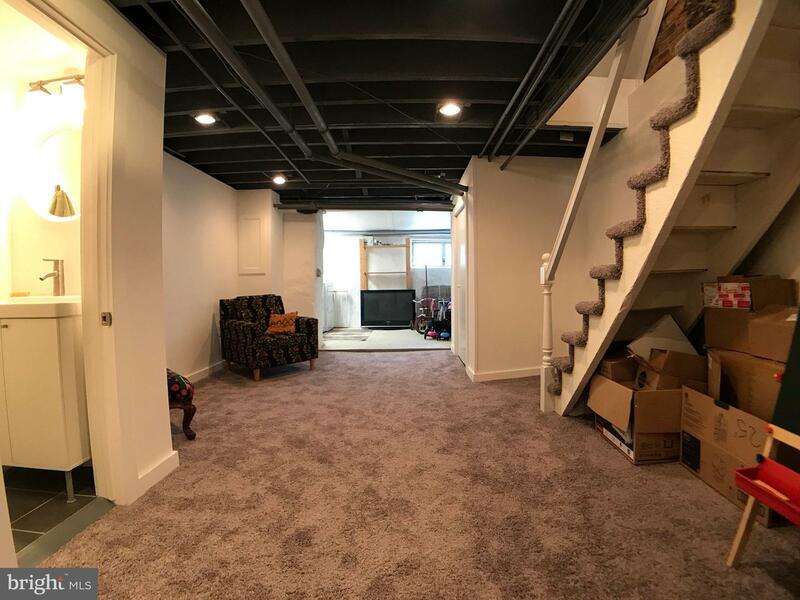 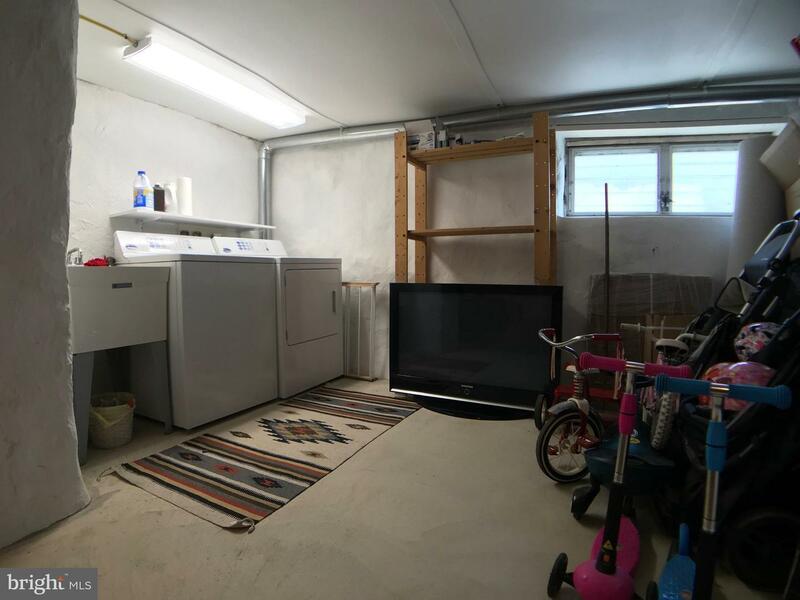 Recently finished basement with brand new carpet, half bathroom, and laundry. 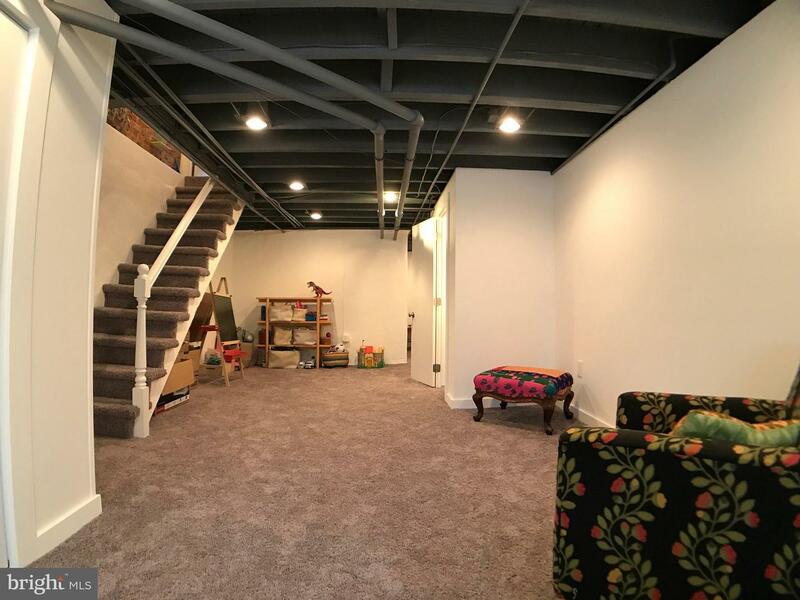 Access to your attached garage space is through the rear of the basement. 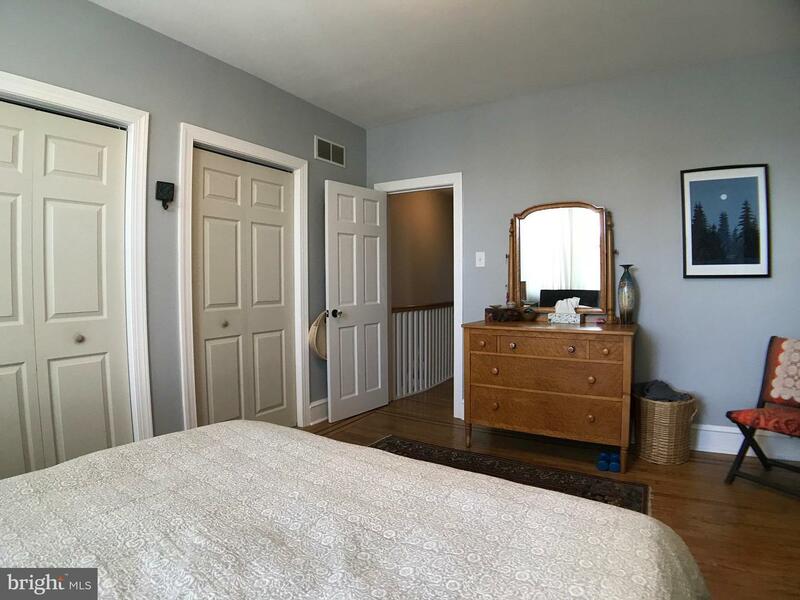 The second floor is home to three full sized bedrooms with ample closet space. 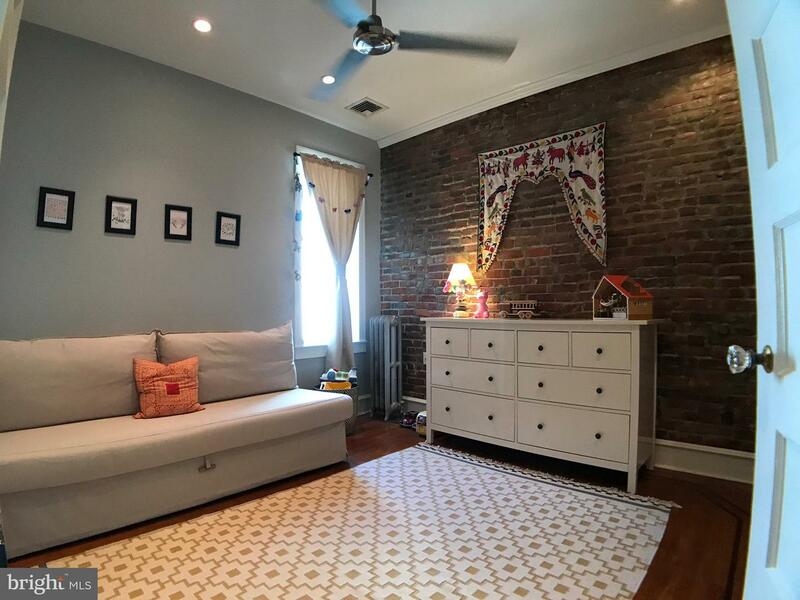 Middle bedroom featuring a modern ceiling fan and more exposed brick! 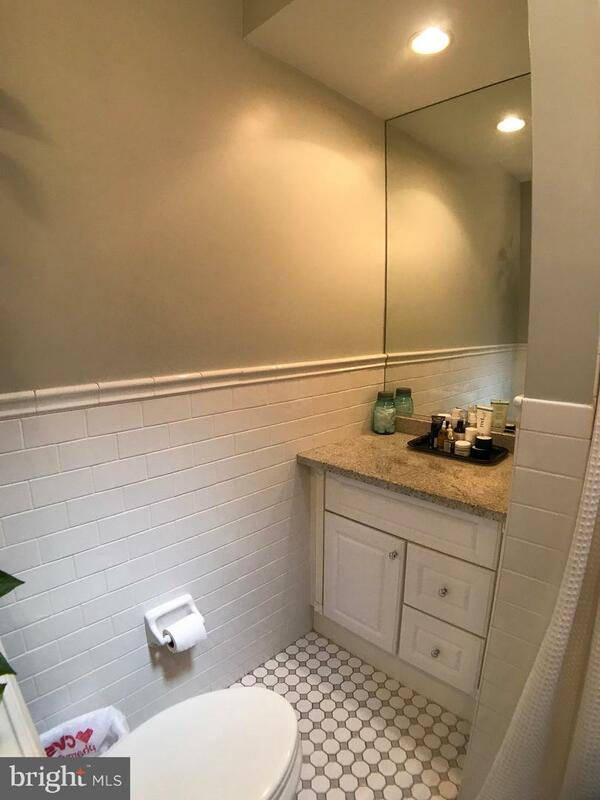 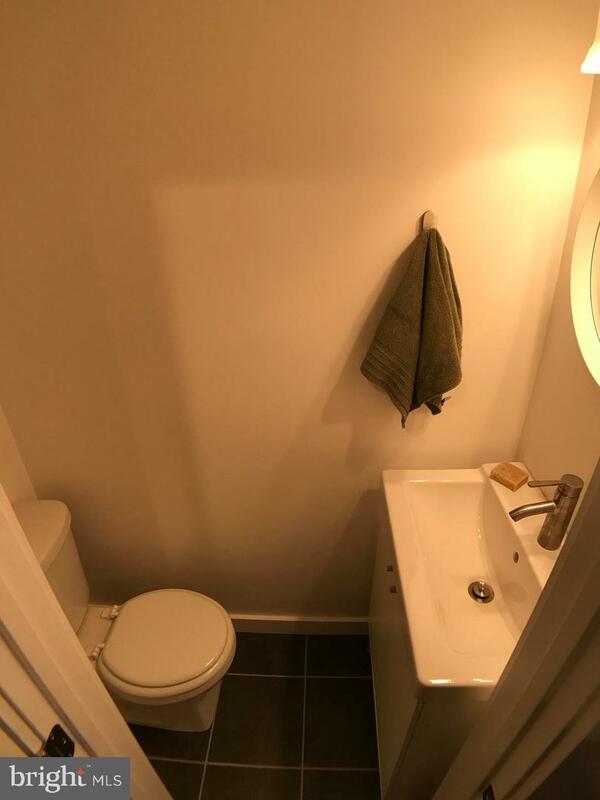 Second floor bathroom features custom tile for both the floor and the bathtub. 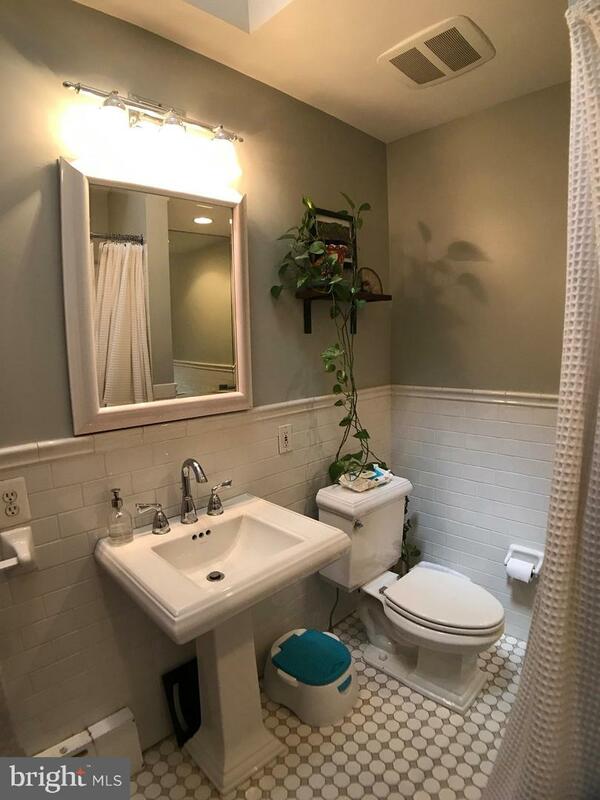 With an extra vanity featuring granite counter top, additional storage and large mirror.Radiant heat giving you the best form of heat and central air keeping you cool in the hot summer months.